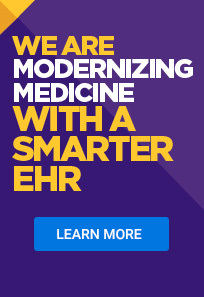 November 13, 2018 – Boca Raton, Fla. – Specialty-specific health information technology leader, Modernizing Medicine, will host its annual users conference, MOMENTUM, from November 16 – 18, 2018, in Orlando, Fla. Over 1,000 physicians and their staff, vendors and the team from Modernizing Medicine will come together to learn, connect and innovate at MOMENTUM 2018. This year’s conference focuses on helping physicians and their teams take a holistic approach to building their businesses, including informative industry sessions, updates to Modernizing Medicine’s technology and services and customer-led conversations to discuss today’s most pressing issues. While MOMENTUM 2018 will offer a variety of educational sessions that assist Modernizing Medicine’s customers with clinical, financial and operational endeavors, a firm focus on the patient experience takes center stage. In addition, attendees will learn how practices can function more efficiently as a team and improve patient care. The company thanks Platinum Sponsor TriZetto Provider Solutions (TPS), a Cognizant company, for their support. Trusted by more than 340,000 providers, TPS leverages industry-leading products and expertise to provide comprehensive revenue cycle management services that help healthcare organizations with billing, analytics, appeals, clinical integration, digital patient engagement and more. Customers attending MOMENTUM 2018 can view the full agenda including the speakers on the conference site here. To learn more about Modernizing Medicine and its full suite of solutions, please visit www.modmed.com.